Editing and formatting large amounts of text can be a hassle. 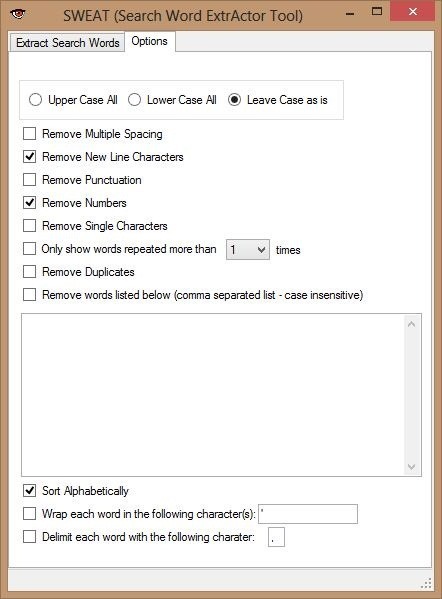 From finding and replacing words to creating uniform spacing, text editing can be a real drag. But with this Windows application, you can take your text edit skills to the next level. 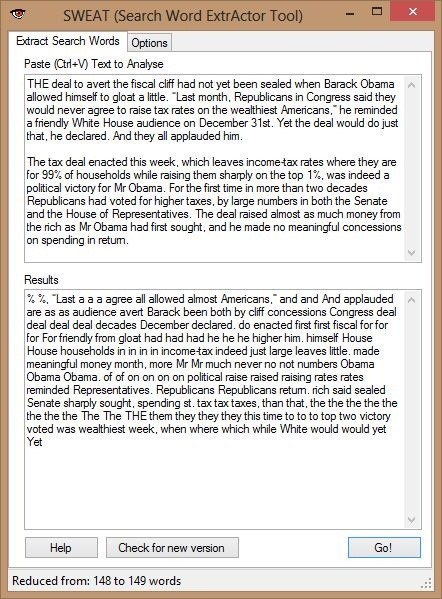 SWEAT (Search Word ExtrActor Tool) is designed to make it as easy as possible to extract specific words and phrases and manipulate large (or small) amounts of text. 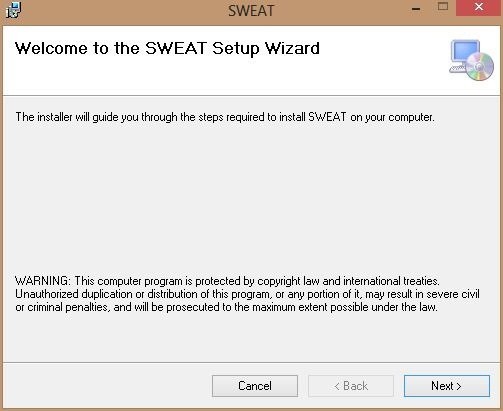 You can download the zipped SWEAT file here. 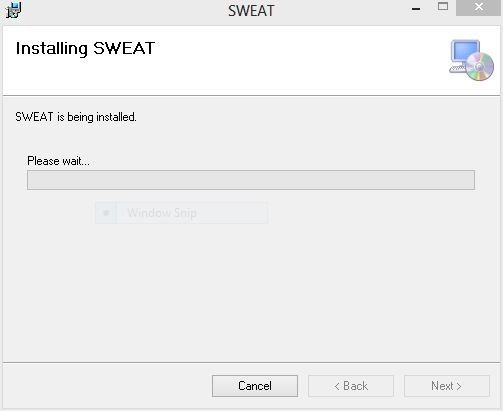 Once extracted, run the program installer. 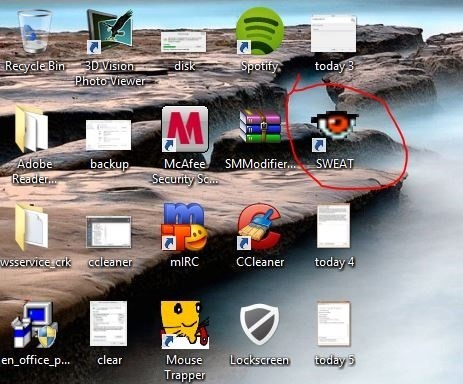 When the program is done installing, an icon should appear your desktop. You can also choose to pin it to your taskbar if you prefer. Go ahead and open the program up. The interface is very basic and straight to the point. Go to the Options tab to set up your extraction and editing preferences. Once you have everything checked to your liking, copy the text that you want to edit. That text will go in the top text box under the Extract Search Words tab. When you hit Go! the changes you designated will be applied. I chose to remove all numbers and organize the text alphabetically. All symbols and phrases that include symbols go before the alphabet. This tool can be used for a bunch of cool tasks like this, plus other useful things like finding out how many times you've repeated a word, or replacing an incorrect word or phrase that appears many times. Just copy the edited version of your text back into your original document and you are good to go with those changes. 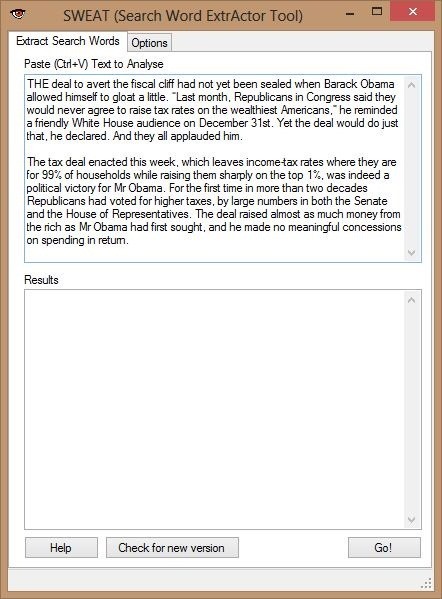 Do you know of any other great text editing apps or programs? Let us know in the comments below.